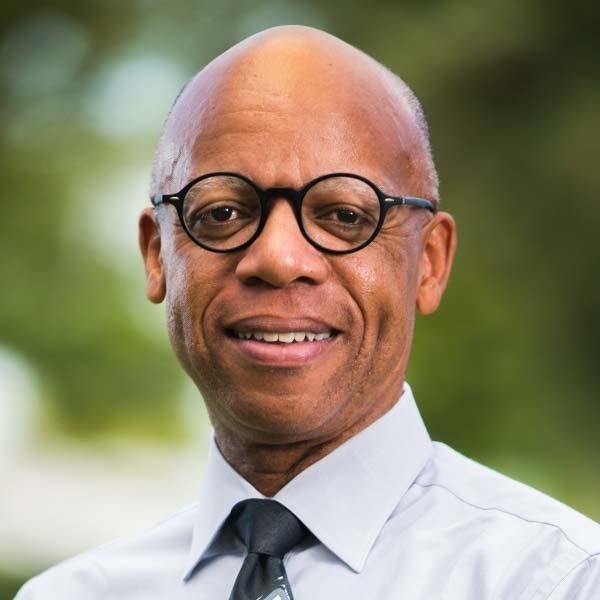 Leon Harris enjoys expanding students’ appreciation, while teaching Theology 2 at Biola University, for what God is doing in Jesus Christ to redeem His creation. Harris graduated from Talbot School of Theology with M.Div. and Th.M. degrees. He also graduated from the University of Aberdeen in Scotland with a PhD in Divinity, where he successfully defended his thesis on the topic of Pneumatology as Communion and koinonia. He has also presented several papers at theology conferences both in the U.K. and at ETS in the U.S. Harris has published book reviews and articles in several theological journals. He also enjoys participating in the life of the church, and is currently a Life Group leader at his local church. He also enjoys reading, movies, attending plays and musicals, watching sports and traveling with his wife. Harris’ current research interests include Pneumatology, Ecclesiology, African American theology in relation to the family and Relational Ontology. “How Does God Wrestle with the Shortcomings of His People: A Pastoral Issue from the Perspective of Systematic Theology” in Testamentum Imperium: An International Theological Journal, Volume 3, 2011. “Justice, Victory and Sacrifice as Theological Metaphors in the Atonement Theology of Colin Gunton”, Justification and Contemporary Theologians Program Unit, Evangelical Theological Society Annual Meeting, Atlanta, Georgia, November 2010. “The Bible as Relational Indwelling Knowledge: Colin E. Gunton’s Pneumatological Approach to Inspiration and Revelation”, Society for the Study of Theology Annual Meeting, York, England, April 2011. “The Bible as Relational 'Indwelling Knowledge': Colin E. Gunton's Pneumatological Approach to the Authority of Scripture”, The Bible: Culture, Community and Society, University of Winchester, Winchester, England, July 2011. “1 Peter 2:9 and the Priesthood of the Believers: A Theological and Exegetical Approach to an Ecclesiology of Koinonia”, Ecclesiology: Biblical Theology Program Unity, Evangelical Theological Society Annual Meeting, San Diego, CA, November 2014.